SHOW HOME OPEN SAT & SUN 11AM-3PM...Welcome to Fuller’s Place, Harleston. The Bruntsfield Gold, Plot 17 is a four bedroom detached home with single garage and parking. When you make your home at Fuller’s Place, you can look forward to enjoying an exceptional quality of life. 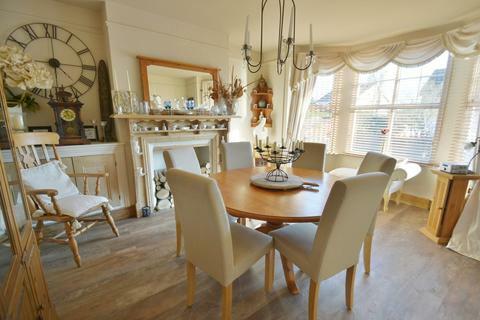 Set in charming countryside, you are only moments away from Southwold, a gateway to the Suffolk Coast. Area of Outstanding Natural Beauty – a breathtaking expanse of unspoilt coastal towns and villages. Perfect for walking and relaxing, you’ll never tire of exploring this famous landscape. of Bury St Edmunds and Ipswich, set on the River Orwell. Welcome to Fuller’s Place, Harleston. A stunning collection of 3 and 4 bedroom homes in the heart of the Waveney Valley. Crafton is proud to present this beautiful new development of high specification contemporary homes in the popular market town of Harleston, in the heart of the Waveney Valley. Close to the Suffolk Coast Area of Outstanding Natural Beauty, as well as being within easy reach of all major routes, these properties offer you the best of rural life in one of East Anglia’s most attractive areas. Every home at Fuller’s Place has been created by our architects and designers to give you the very best of contemporary convenience, with the reassurance that comes with the use of first class materials and traditional building techniques. Rooms are light and airy, giving you ample space to showcase your own style, and you’ll enjoy modern fixtures and fittings throughout, including a fully fitted kitchen and carefully placed internet sockets. 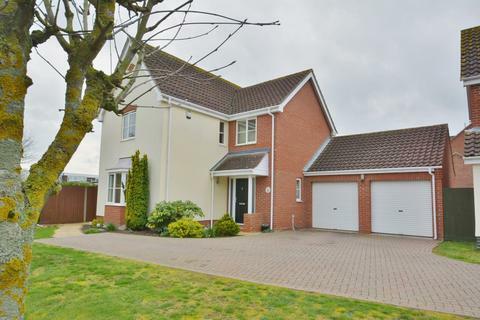 Contemporary spaces, surrounded by countryside, and finished to the highest specification. PLEASE NOTE: Specification can change throughout build program. You should always consult a sales assistant before reservation. Well connected to Norfolk, Suffolk and beyond. Fuller’s Place is not far from the centre of Norwich, Norfolk’s vibrant county city. With a skyline dominated by a Norman castle and beautiful medieval cathedral, its streets are a blend of history and modernity, tradition and creativity, the eye-catching and the discreet. With a thriving market, the famous Jarrold department store, lots of quirky boutiques, fine restaurants and plenty more, it is the perfect example of how a city rich in history has become one of England’s top modern destinations. With bi-hourly train links to London Liverpool Street, plus easy access to both Norwich International Airport and London Stansted Airport, transport links for business, pleasure and holidays are both excellent and very convenient. Travel times are approximate only taken from Google Maps and National Rail. Property reference NRD190063. The information displayed about this property comprises a property advertisement. OnTheMarket.com makes no warranty as to the accuracy or completeness of the advertisement or any linked or associated information, and OnTheMarket.com has no control over the content. This property advertisement does not constitute property particulars. The information is provided and maintained by Savills - Norwich, Residential Development Sales. Please contact the selling agent directly to obtain any information which may be available under the terms of The Energy Performance of Buildings (Certificates and Inspections) (England and Wales) Regulations 2007 or the Home Report if in relation to a residential property in Scotland.